Xueqian (Park) Pu is vice chairman of global investment banking for China. Xueqian Pu joined JP Morgan in October 2015 and prior to that he was working for Rothschild for seven years where he was head of China investment banking. Xueqian Pu also worked at UBS, where he helped establish the Swiss bank’s securities joint venture in China. He also previously led corporate strategy and development for China Merchants International in Hong Kong. 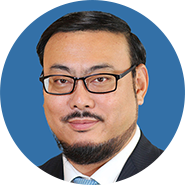 Xueqian Pu has done his Bachelor's Degree from Peking University Health Science Center in 1990 and Master of Business Administration from The University of Texas at Austin in 1997.